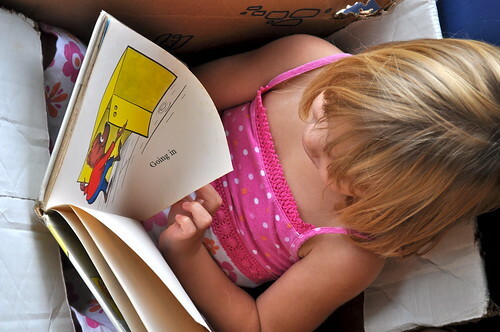 So you have read to your kids from birth or even before then and you have done all sorts of wonderful reading activities with your child and suddenly you realize that you have indeed raised a reader. Well, more than a reader, you have a ferocious reader on your hands!!! Just lately I have had a couple of moms ask me: “What should they do with their ferocious readers?” And the short answer is feed the habit!!! The thing about reading is that it is the great transporter… in an instant we can go anywhere and be anything, we can learn anything and be inspired to try anything. We literally become part of the book!!! For myself just a glimmer of a book brings everything spinning back: I can remember where I read that book, the season, the snack – everything!!! 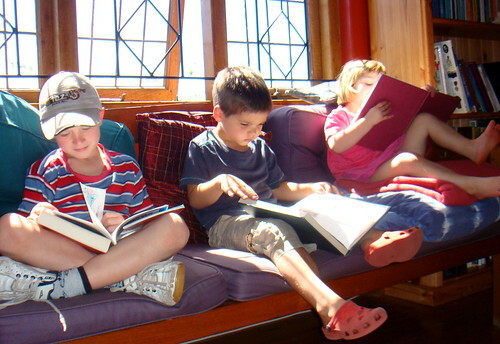 I want my kids to have wonderful memories packed with the places they have explored and the adventures they have been on between the pages of a book. We have roughly a shelf of books for each child, which turns out to be quite a library when gathered all together. Usually I take a couple of books off the shelf and keep them in out latest reading spot and we read through those. We also borrow library books each week and each of us is allowed se7en books on their card, that’s se7enty books a week!!! We have a house rule that at least two books are non-fiction and the rest whatever they like. We are collecting a really nice library of school books. We keep them on their own bookshelf, with a shelf per grade level. These books are fabulous classics that my kids want to read again and again and again!!! I do make sure that they don’t read ahead of their schedule – no matter what. We have a whole lot of ideas: a craft, a story, a recipe, map-work, newspaper article – something, to mark the journey from one school book and onto another. Very often their school reading requires a chapter of a book a day… Well my children have no use for bookmarks because surely you read a book in a sitting. So if the book is part of a series I try and make sure the series is available to them or if the author has written a number of books then I try and have a range of books available to them. This isn’t always possible but trying to find books along the same topic or genre certainly helps!!! 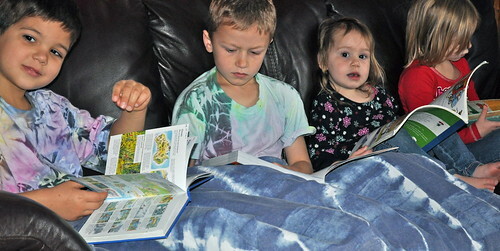 I read along-side my kids, that way I don’t ask them to do anything during “reading time”. As I mentioned before my kids know that books have to be read in a sitting… no matter how long or short they are. They read when they wake up in the morning and usually after lunch we have a break from the day and they get a chance to do a really big chunk of their own reading then. And of course before bed-time. If I fill their day with too many things, which is so easy to do, then there really isn’t enough time for them to read the great chunks of reading that they feel is necessary for survival. Setting time aside in the day to read for myself helps me to be more mindful of their reading needs. I have had so many moms say, may kids choose books that are too easy for them, or my kids choose books that have really weak stories. Never mind, let them read it and they will move on… to bigger and better books. My kids always take a couple of months to read their way through Enid Blyton from start to finish… She wrote copiously and has a range of series from easy chapter books to epic mysteries. My kids usually start with Secret Se7en and then march their way through Famous Five and then onto her Mystery stories. 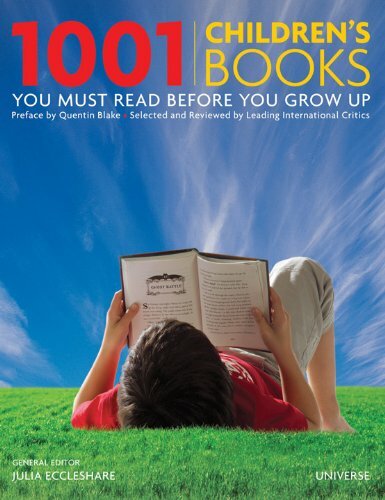 There are hundreds of them and while they are not usually considered to be part of most classic book collections, I have no idea why, they will provide beginner readers with an enormous amount of confidence as they stride through book after book. The stories are full of suspense and unputdownableness… trust me on this, don’t worry if your child gets stuck on a great author, like Enid Blyton, they will eventually run out of titles and emerge with buckets of confidence and ready to take on the rest of the world of literature. 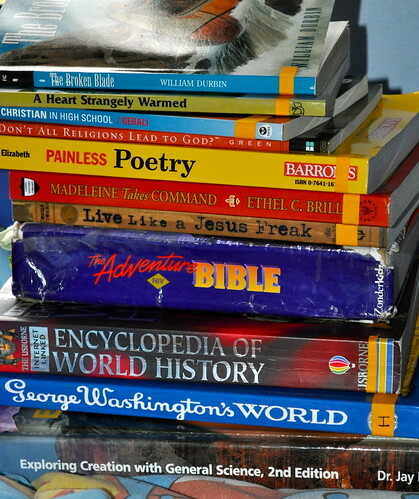 My kids choose their own books from the library and they don’t always make the best choices but I need them to learn discernment when choosing their books while they are still reading from the easy reader section!!! They have come home with se7en books from a “whiffly series because they have pretty fairies on the cover” and one of them brought home “Se7en dictionaries” – I kid you not!!!. So not all the decisions are the best and their choices may disappoint when they read all their books overnight but the lesson is usually learnt and there are still a whole lot of books to read from the library pile. You are about to encounter some literacy snobbery: my kids do not consider audio books to be books – the whole reading experience requires eyes to scan paper pages from one end to the other, of a real book. That’s it!!! However they will read electronic books, though they consider that to be entertainment rather than literature. I have raved on about the Kindle before, basically if you love books get books and if you love reading then make sure you have some sort of electronic reader. Because you can buy classic books for nearly nothing, often just $1. or $2. or even free, and you can download them instantaneously around the world without having to pay for shipping. Seriously this has been life changing for us!!! 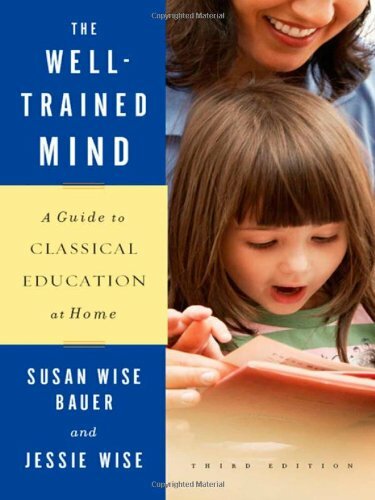 If you looking for a great resource with lists of Classics all in gathered in one spot, listed according to era for a timeline of reading, then look no further than Susan Wise-Bauer’s Well Trained Mind. It is split into age groups ranging from picture books for little ones to full length epics for older kids… and not only does each book get a full review but other great books similar to the one you are looking at. My kids have marked this book up and down it has been smothered in post-it notes and right now it has a piece of paper with a list about a mile long written on it of books to get from the library on our next trip. I thought I would follow up this post with a couple of book related posts, so if you have any book related questions then now is the time to ask!!! If you don’t come up with questions then I am going to post a series of book suggestions for kids next week. So if there is a particular theme or genre that you are looking for then please mention them in the comments and I will try to fulfill your requests!!! This post was posted in our “Se7en at School” Catagory if you would like to read more school posts then feel free to follow the link to our Complete School Collection. this post is very helpful, i like your ideas…i would love… if you could recommend some South African history books.. I love reading. I am Afrikaans, but I clearly remember reading old Cape romance stories when I was only st. 1 (grade 3) The thicker the book – the better.. I so share your love. However, with a full day at work, children at public schools and weekends full of sport and errands, I barely get the chance to read my beloved National Geographic through in one month, let alone a nice thick book in a few days. I so want my children to ‘inherit’ that love, but with me never seen reading, never a quiet moment at home, when will they ever start loving it? 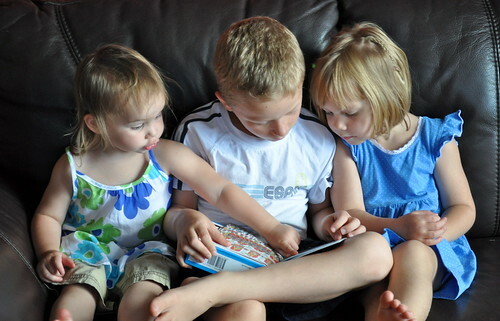 You have inspired me to make a big and focussed effort to get my kids to the library, switching off the tv (we have succeeded in doing this at least some nights, but with us only arriving home at 18h at night, everything is rushed..) and reading them a story EVERY night before Bible and bed. Thanks for your very inspiring and positive blog. I’m sure you don’t always feel like it, but I’m sure you help a lot of us out here..! THANKS!! 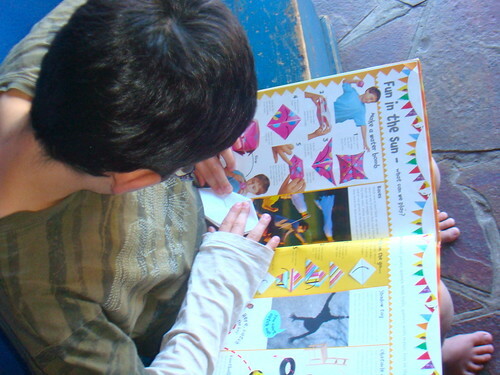 Hi Jenni, Thanks for stopping by… I while ago I wrote a post called Se7en South African Book Resources for Kids. But it is indeed time for an update!!! Hope you have a great day!!! Loved your post! Thanks for the encouragement about making it a priority. My son is 3 1/2 and he LOVES books. I think I will start taking him to the library! Hi Anel, Thanks for the comment – busy times indeed!!! You could try setting some time aside on the weekend when you read just for yourself… I know crazy idea but even fifteen minutes of your kids seeing you reading anything can make a difference… a magazine, a newspaper, anything!!! And then talk about it!!! My kids love me to tell them what I have been reading!!! All the best…. It’s nearly the weekend!!! Hi Denise!!! Oh my little guys love the library!!! The world is there oyster… I always try and find a good spot to sit a and read a couple of books while we are there… just to get the feel of being totally surrounded by books everywhere – lovely!!! Have a fun week!!! If you give your kids a love for reading, then you have won the “education battle”; keep up the great work you are doing. with love from a fellow prolific reader! 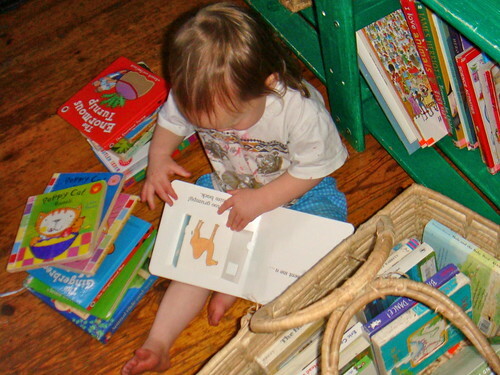 I love the picture of your tinniest one surrounded by books. It reminds me of my own tiny boy doing the same thing! He is already a book lover at 22 months, and his latest thing is to take books off “his shelf” of books and put them on the couch in piles. It was in the very early crawling days that we had to give him a baby book shelf as well as training him not to touch our own books . It helped him so much to have his own, and he wasn’t as tempted to pull ALL the books off the shelves . . . just his books. I am wondering . 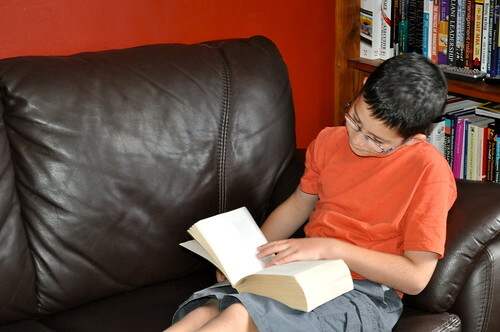 . . do you think it is possible for children to read too much? I am asking because I think I read too much as a teen . . . or too much of the wrong thing (Christian romance series for example). I have also met young people who bring a book to social gatherings, or don’t talk to their family’s dinner guests but instead read the whole time. I have been thinking of writing a post about this and asking for others’ ideas. I think it is a great idea to set aside a few times a day for reading. I used to sometimes read all day and then secretly try to read at night as well, and I think that was too much! Now as a busy Mum I have had to make it a goal to read 15 minutes a day, and it has been wonderful. Dear Prolific Aunty Muffin, Thank you for the million bazillion stories you have read to my kids it sure has been a team effort!!! Hope you have a fun weekend!!! Hi Sherrin, That is an interesting point!!! I think when anything becomes an obsession then when need to rethink!!! We do have a few limits on books: Not at meals, not in the bath, not with guests, not during school, and so on… just obvious limits. I think when I was a kid we spent literary weeks of our summers doing one thing – reading comics and annuals (do you remember them!!!) or playing Monopoly during every waking breathe!!! And our parents never said you may only read classic literature or get outdoors… eventually the craze ended and we finished with it and went on!!! I have found that in our “get ahead thinking” folks often say well if it isn’t a good book then they don’t want kids reading it. AndI have to say, while there is no comparison between Calvin and Hobbes and say, Shakespeare… they can enjoy both. As with all things our kids need a taste of everything, how else will they learn discernment or how to get on with all the different types of people in the world if they haven’t experienced a certain amount of variety within their own world. Hope you have a very thoughtful weekend!!! I LOVE reading and I’m transported into new worlds when I do. I love books more than movies about books I’ve read, because the things never look teh same as they do in my mind. Hay Irene!!! Yes Se7enty Books and we read EVERY one of them!!!! The librarians don’t enjoy stamping them out but they do enjoy the raised stats!!! I have to agree with you about movies, they just never match up to the book and when you say to someone have you read such and such a book and they look at you funny, well then you know they have seen the movie and it didn’t enjoy it… and the book will always be spoilt after that… I always make sure my kids have read the book before they see a movie so as not to taint their view of a great book!! !